I’ve always loved the water. I have a more than healthy fear of the ocean, but give me a safe-ish environment and I’ll swim and play all day. You better believe I was super excited about our all-day snorkeling tour we had booked with Scuba Junkie the day before. I should put a plug in for Scuba Junkie and just say that the staff (namely Mel) was fantastic. 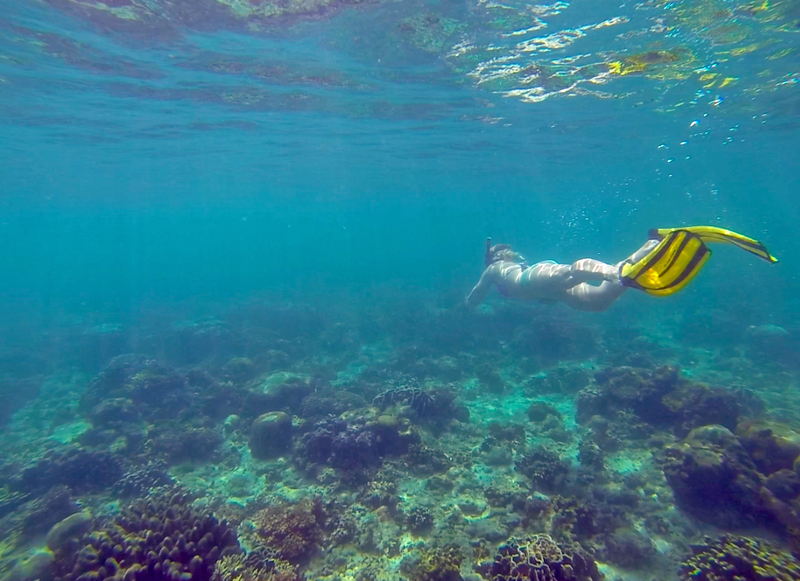 As previously mentioned in my last Borneo post, we had planned on getting our dive certifications as well, but just didn’t have the time and ended up having to cancel our classes. 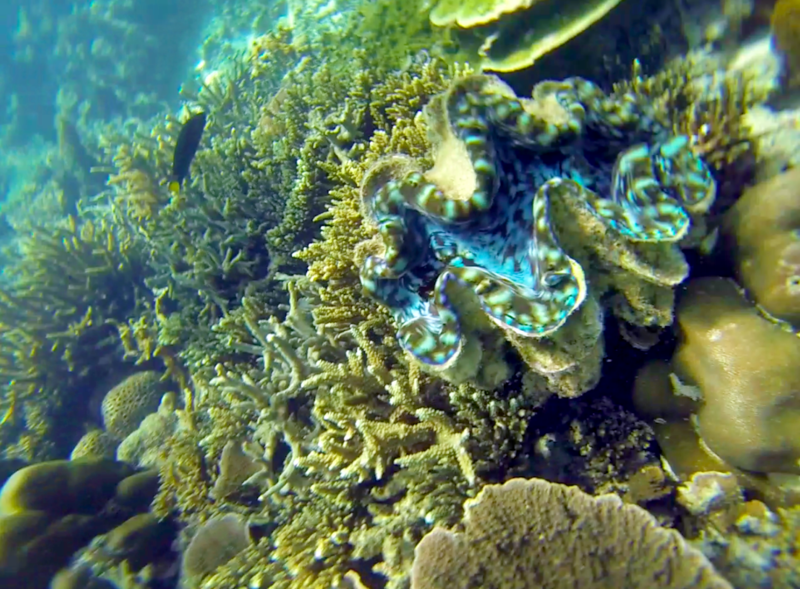 The 8:00am drive into Kota Kinabalu (once again in the tiny van/buses) went quickly, and before you know it we were out to sea headed straight for Gaya and Sapi Islands found in the Kota Kinabalu Marine Park. 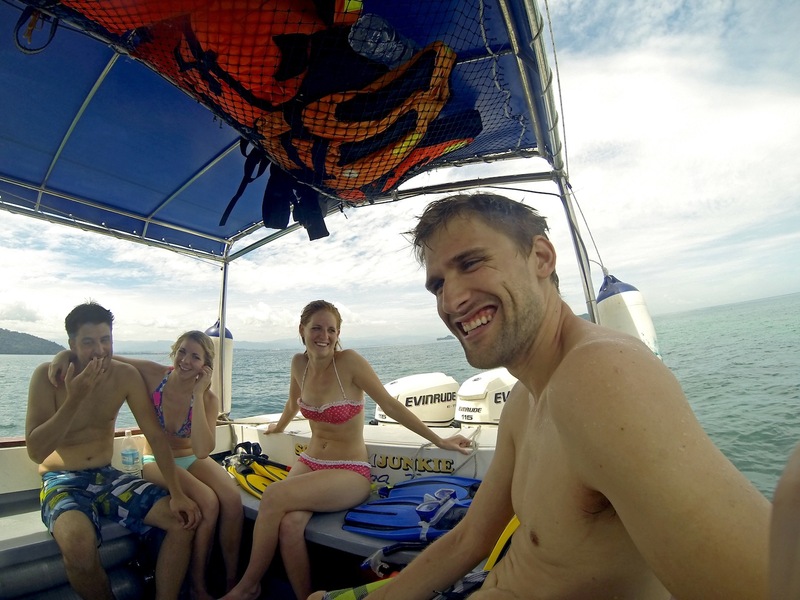 Our boat was small, and our group of five were the only ones snorkeling that day (yeah we were those losers). 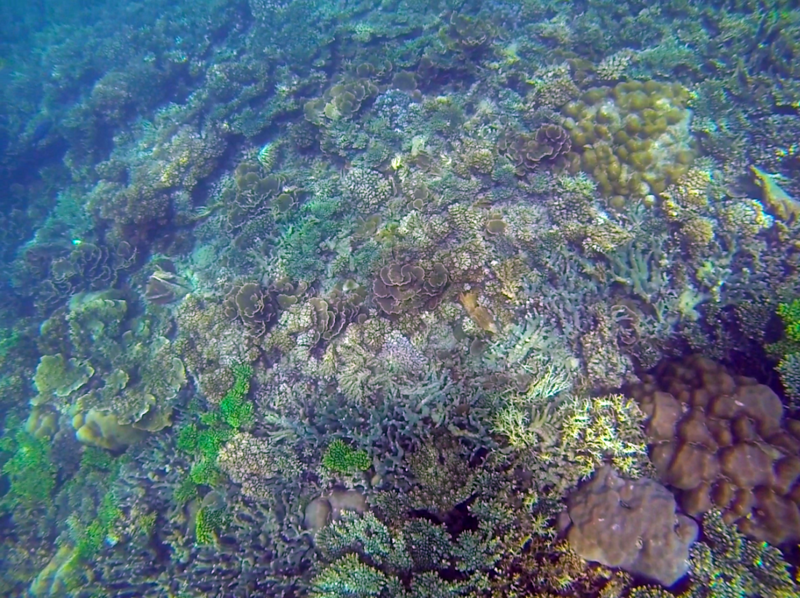 This snorkel tour was one of the most informal tours I’ve ever been on. Scuba Junkie is mostly concerned about diving, and literally just dropped us snorkelers off out by a small island and told us they’d come do a pick up in an hour. 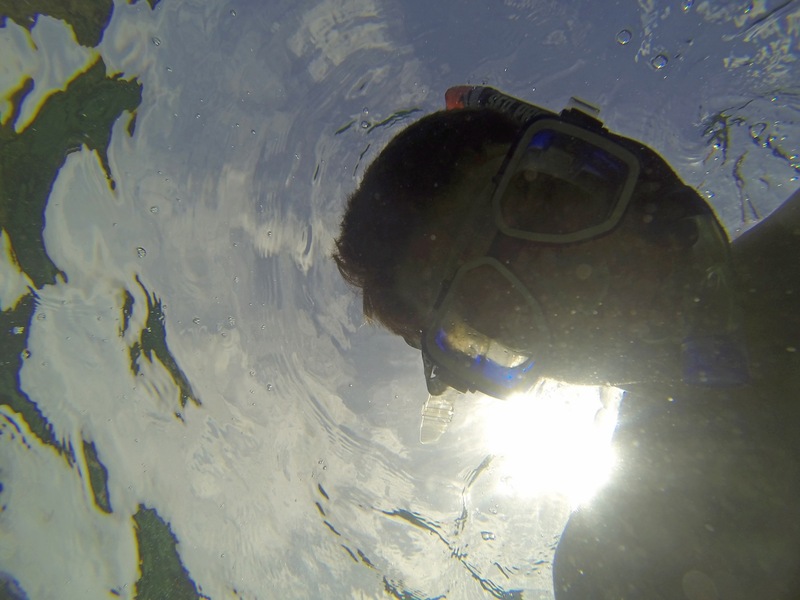 No rules, no life jackets: just a snorkel, a pair of flippers, and some old goggles. 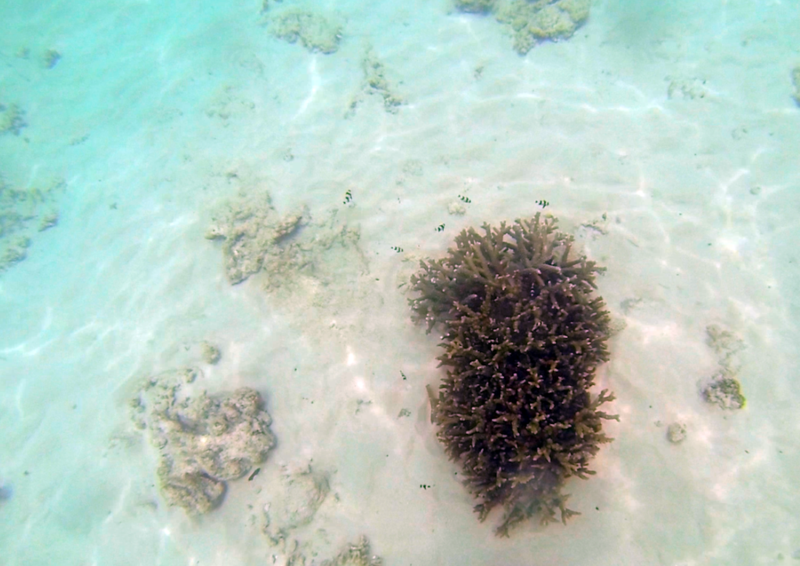 The water was semi-clear but pretty stirred up by the rains the previous day. We were told we were lucky it hadn’t rained that morning, or it would have been worse. 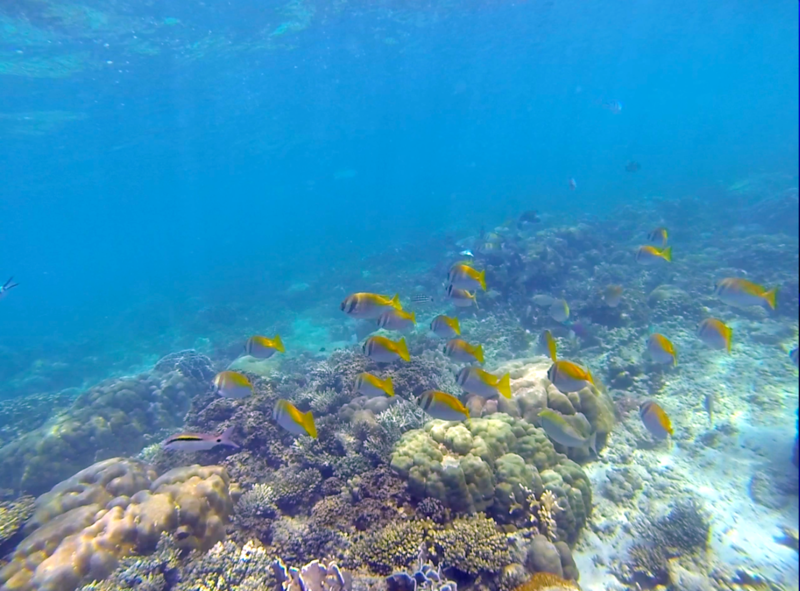 It wasn’t the best snorkeling I’ve ever done, but there were a variety of fish! 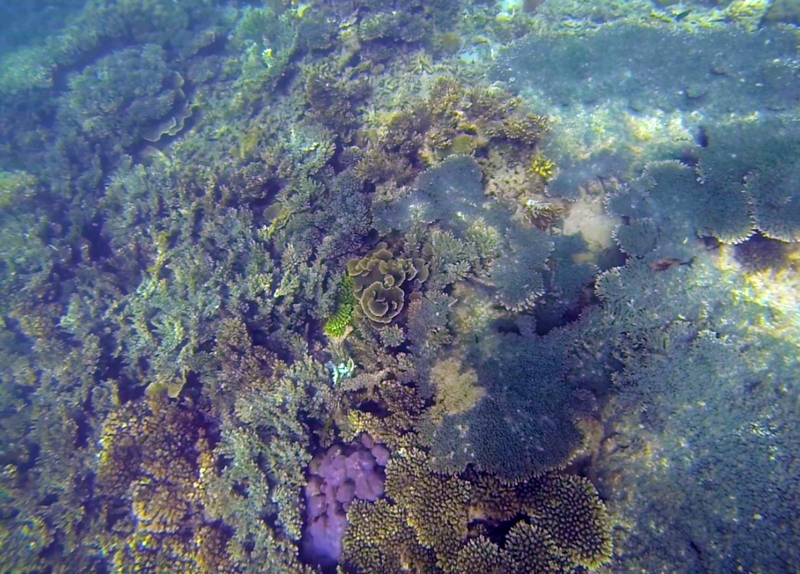 I loved finding a stand-alone coral formation which housed a ton of little baby reef fish. Is it weird to say I got slightly warm and fuzzy on the inside? 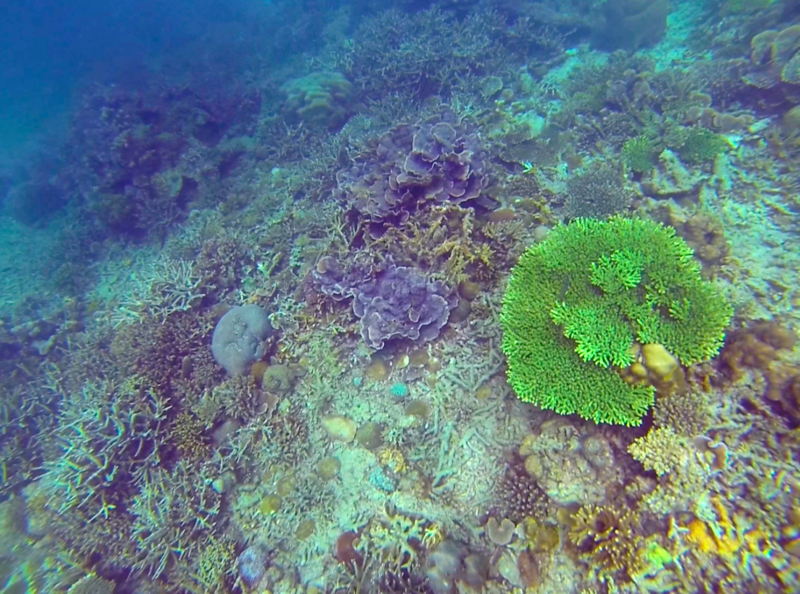 I should mention that all these pictures are taken from videos D had shot with his new GoPro Hero 3 Black. He had JUST received it literally the day before we left so we had yet to buy an image stabilizer for it. 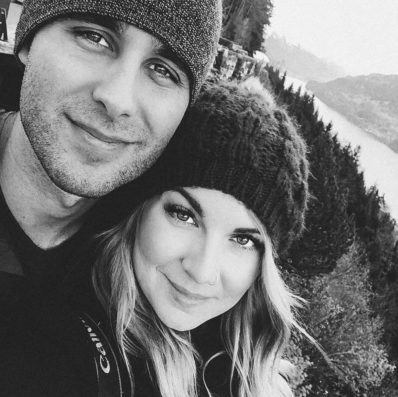 It was fun seeing him play around with his new little camera, and now I finally have a photography buddy! 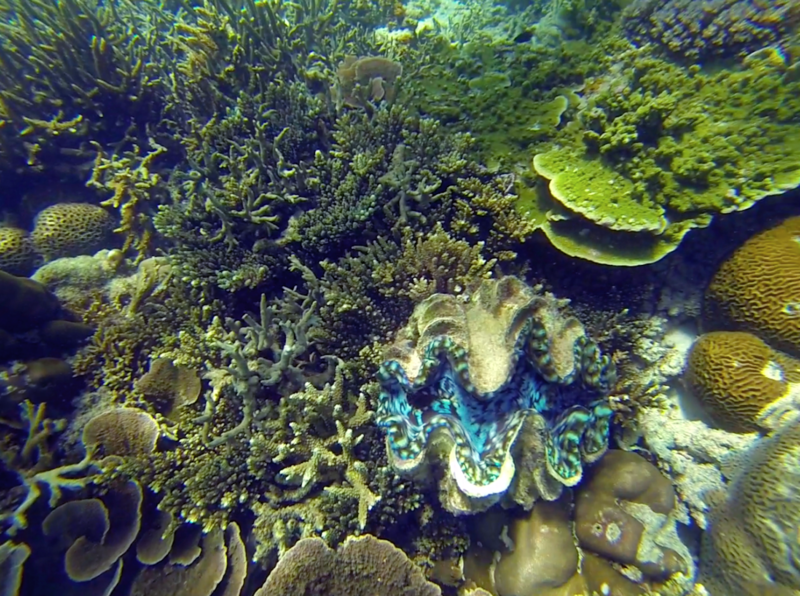 The rare find of the day was this giant clam below. Apparently they’re a delicacy to harvest and eat in Borneo, and our boat captain was surprised we actually found one so close to the surface. It was about 15 inches across. I was looking up information on these beauties, and I guess they can grow up to 47 inches across. That’s a lot of clam meat! Speaking of giant, apparently Nemo has been growing over the years. 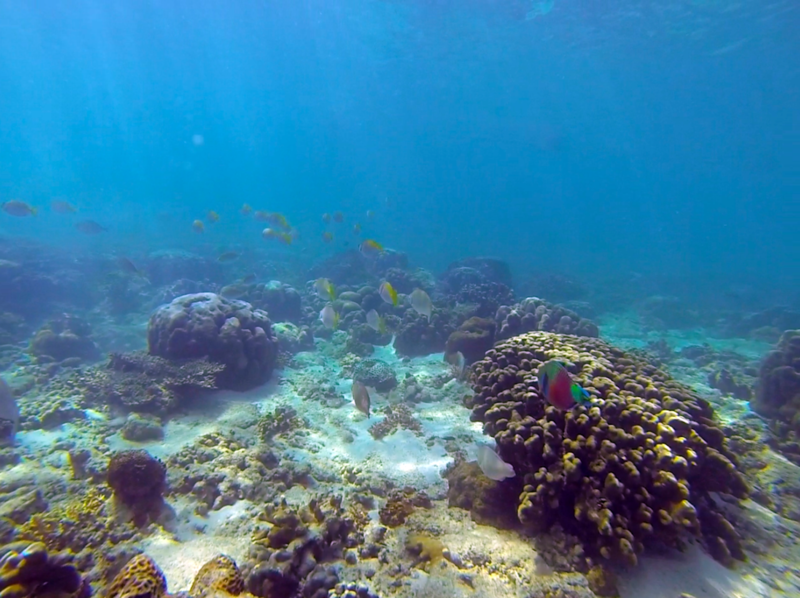 We found one particular clown fish that was about 4-5 inches in length! I had no idea they even got that big. Derik was actually brave enough to go say hello, and got some fun videos. I’m surprised this little guy didn’t turn around and start chasing him. 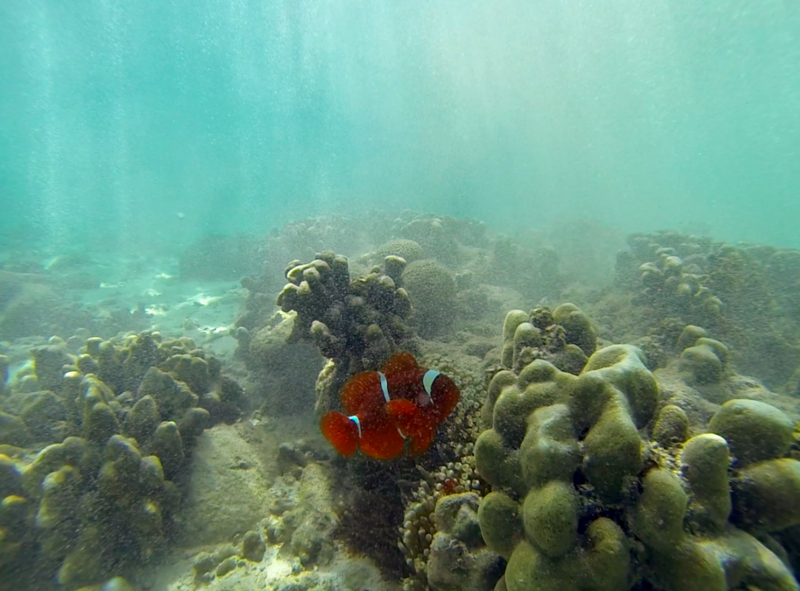 Clown fish are notorious for being feisty and vicious little creatures. Overall we had a fantastic time, and I’d definitely recommend Scuba Junkie. 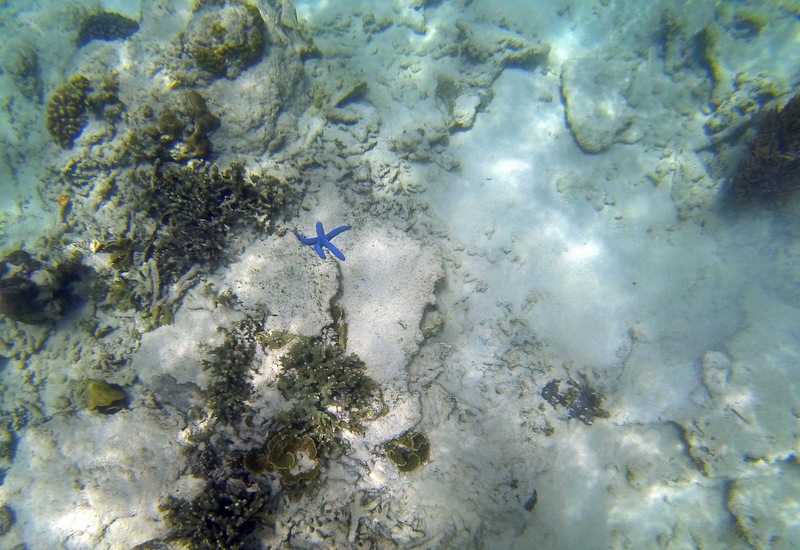 Where are your favorite snorkeling spots? 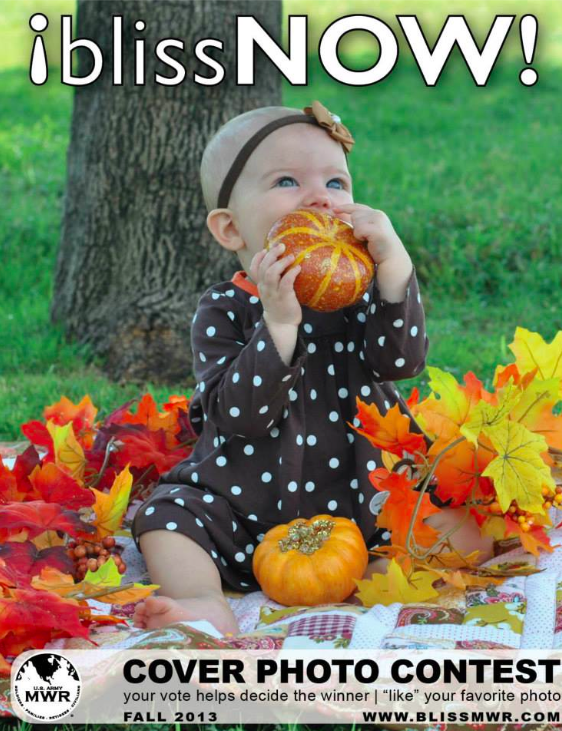 Takes THREE second to CLICK HERE and vote by simply clicking ‘like’ on her picture. That’s all you have to do! The contest goes until 11.59 CST TODAY (September 12).